As well as purchasing all the relevant professional banner stands and high-quality exhibition equipment, businesses are being encouraged to get social and make use of the digital tools available to them this exhibition season. Digital technology is on the rise, and with a number of excellent ways in which it can be integrated within an existing exhibition display, there is no excuse for businesses who are reluctant to take the step into the twenty-first century. One of the first ways this can be accomplished is by making sure the exhibition or event is proactively digital. Train all staff members in social networks such as Twitter, Pinterest and Google+, and ask them to share photos and thoughts throughout the event, under an assigned hashtag. This will not only be an exciting new prospect for those attending the event, it is also a useful way to interact with potential clients who haven’t been able to attend. 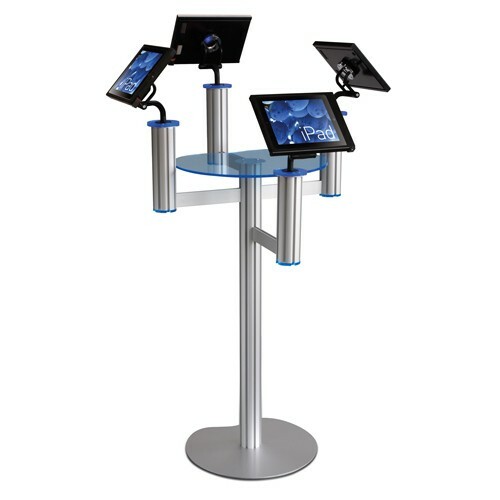 Integrated media stands are all the rage right now, and they can be used to share videos and media to members of the public, as well as interacting with them through features like votes and surveys. Install a camera within your high-quality exhibition stand and conduct video interviews with willing participants; this could be a great testimonial for a website or a promotional tool at future events. Ask them to take part in surveys and polls using touchscreen devices, and the results can then be uploaded to social media for all to see. Don’t forget that the digital revolution can continue after the integrated media exhibition stands have been packed away; blogging about an exhibition both before and after the event can ensure continued coverage, and the links can be placed within a social media context to encourage people to interact further. It has never been easier to go digital and interact with customers and clients as part of an exhibition; there is just enough time before this year’s exhibition season to get devices and equipment up to scratch and let the digital revolution commence.